Renowned author, teacher/lecturer, radio host & spiritual guide to the sacred sites of the Earth. A native of the San Francisco Bay Area, Patricia Cori has been immersed in the New Age Movement since its inception there in the early 1970’s. She has utilized her clairvoyant abilities in healing and support work throughout her life, which has been dedicated in great part to the study of mysticism, philosophy, ancient civilizations, metaphysical healing, spirituality and unexplained mysteries. She is a prominent figure in the Spirit Movement, well-known on the international lecture circuit—actively offering courses, seminars and workshops around the world on a vast range of topics, which reflect her broad knowledge of alternative methodology in healing and her remarkable gift of helping others rekindle and ignite the inner flame. She has been recognized and celebrated as a gifted shaman by indigenous spirit teachers of the Tibetan, Mayan and Peruvian traditions. In 1996, she established SoulQuest™ Journeys, and that year led a group of spirit travelers, to whom she introduced the sacred temples and breathtaking spirit of the Tibetan landscape, to Nepal and Tibet. She has since guided people through sacred sites in Asia, Mexico, Egypt, Peru, Europe and England—returning to the crop circles every summer, awakening her fellow seekers to Earth energies and the magic of spirit unfolding. Patricia’s growing list of books have enjoyed worldwide acclaim as wake-up call material for the expanding consciousness of humankind. They have been re-released to a vast international audience this year by North Atlantic Books/Random House Distribution and are also available in several foreign language editions. 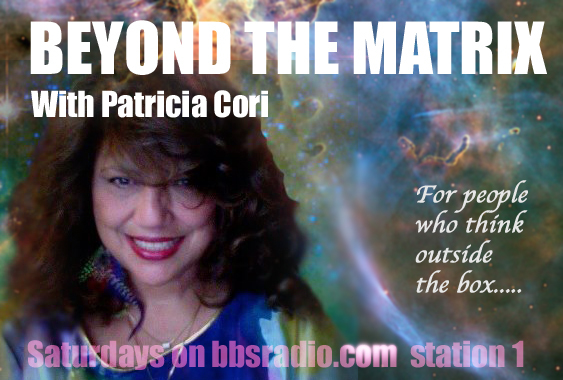 She hosts the cutting edge web radio talk show, BEYOND THE MATRIX, on www.bbsradio.com – a program dedicated to exploring new avenues of human thought and experience and merging science and spirit. Patricia has also made numerous radio appearances and has recently been featured in the documentary films: The Circle Chasers 2006, and 2012 – We’re Already In It! Watch for her in Terje Toftenes’ new film documentary, The Concept, to be released late 2010. She can also be seen in several interviews posted to You Tube, which will give you insights into her visions for our world in transition and her dedication to helping to raise the vibrational fields of Gaia. Her latest book, Before We Leave You: Messages from the Great Whales and the Dolphin Beings, is another channeled work through which the Cetaceans of the Earth and their Ascended Elders speak to us of their commitment to weaving the music of Gaia, holding the planet in balance, in preparation for the Great Shift. It will be released in April, 2011 and is already in development to be made into a full feature documentary film. “Some people throw pebbles into the ocean and some people throw rocks, which create an even bigger ripple. Patricia Cori is that rock…I love how she is helping humanity rise in consciousness.” —Ralph Okrafo-Smart, Infinite Waters Radio. For more than 25 years, Patricia Cori has studied the spiritual paths of indigenous cultures, from the jungle pyramids of the ancient Mayans to the desert tombs of the Pharaohs. Driven to experience the mysteries of ancient cultures, Cori has participated in death defying ceremonies from the heights of the Andes to the depths of Mayan and Egyptian tombs. Through these endeavors she has come to be recognized as a gifted shaman by indigenous teachers of the Tibetan, Mayan and Peruvian traditions. Patricia established SoulQuestâ„¢ Journeys in 1996. Since then she has guided travelers through sacred sites in Nepal, Tibet, Asia, Mexico, Egypt, Europe and Peru. An expert on perception and the meaning ancient belief systems hold in the 21st century, Patricia is viewed as a visionary on transitions facing humanity in 2012 and beyond. I have people look at all different sides of reality and embrace the idea that this is not the only reality," she says. "And that no matter what, what carries you through all of it is the fearlessness to make a leap of faith to experience and manifest the reality you wish to create in your life. Patricia's growing list of top-selling publications keep her in the foreground as one of the leading voices of the Spirit Movement that is awakening people to the many aspects of change that are defining our contemporary lives. Her earlier works, The Sirian Revelations, were re-released in 2007 by North Atlantic Books/Random House Distribution and continue to be published in several foreign language editions. Her recent book Where Pharaohs Dwell: One Mystic's Journey through the Gates of Immortality (Nov. 2009), follows her incredible journeys into ancient Egyptian tombs and temples in a never-ending pursuit of wisdom and ancient secrets. Negotiations are already underway to bring the book to the big screen. Patricia's latest book, Beyond the Matrix: Daring Conversations with the Brilliant Minds of Our Times, was released in May 2010. In it, she merges science with spirit, in a brilliant collection of conversations with some of our leading physicists, astronauts, scientists and other thought leaders. Even skeptics embrace the visions brought forward in this master work, which helps to expand the consciousness of all people seeking to understand what is clearly an evolutionary moment for humanity and for the Great Planet Earth. A best-seller before it was even released in Spring 2011, her much awaited new book, Before We Leave You: Messages from the Great Whales and the Dolphin Beings, is stirring people to take action for the Cetacean Nation. It is a call from the Cetacean world to the human race to rise up to our capacity to heal the oceans and bring harmony back to the planet â€“ at a time when the plight of the seas and the whales and dolphins has come full center in our consciousness. 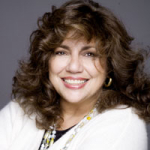 Patricia hosts the radio program "Beyond the Matrix" and is a highly-sought speaker worldwide. Her acclaimed lectures and workshops help audiences make sense of the great shift that is underway, such as those that many people anticipate in 2012, through the understandings of ancient spiritual wisdom. Whether she is documenting ancient mysteries, swimming in the open sea with whales and dolphins or shifting paradigms, Patricia's message of empowerment and hope resonates because of her ability to bring people practical insights into the meaning of their lives, while shining light into the dark corners of our common experience. Patricia Cori is a renowned leader in the Spirit Movement—an author, teacher, and guide to sacred sites—who utilizes her visionary gifts to help raise the consciousness of the planet. A resident of Italy, she travels the world, enriching her understanding and experience, and exploring her own spiritual journey. In addition to her popular radio show, Beyond the Matrix, Cori teaches courses and conducts workshops internationally. She is currently involved in establishing her foundation, a worldwide campaign to help save the whales and dolphins from extinction. A native of the San Francisco Bay Area, Patricia has been immersed in the New Age Movement since its inception there in the early 1970's. She has studied mysticism, philosophy, ancient civilizations, metaphysical healing, spirituality and unexplained mysteries as she has used her clairvoyant abilities to heal and support others. For more than fifteen years, she has guided fellow spirit travelers through sacred sites in Asia, Mexico, Egypt, Europe, England and Peru through her SoulQuest™ Journeys programs. This year she took three groups of seekers out into the ocean, to experience what she describes as “unimaginable bliss” swimming with dolphins in the wild. It is no wonder that she has been dubbed “a real-life Indiana Jones” in the media and by those who have shared in her adventures. 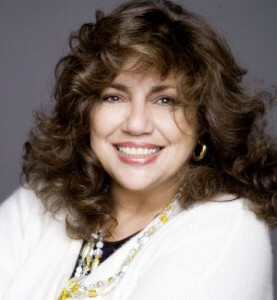 Patricia is well-known on the international lecture circuit for her courses, seminars and workshops around the world on a wide range of topics across the mind-body-spirit realm. Her books The Sirian Revelations and CD of Channeled Meditations were re-released in 2007 by North Atlantic Books/Random House to a vast international audience through several foreign language editions. Patricia's acclaimed book, Where Pharaohs Dwell: One Mystic's Journey through the Gates of Immortality, follows her journeys into ancient Egyptian tombs and temples in a never-ending pursuit of new mysteries to explore. Released in November 2009, it is currently in development to be made into a major motion picture. Patricia’s best-selling new book Before We Leave You: Messages from the Great Whales and the Dolphin Beings, was released in May and went into its second printing before the book had even been published. It is a probing and deeply stirring appeal to the human race to help the Cetacean Nation survive in this hour of man’s destruction of the ecosystems. Don’t miss it!